As we head into the fall season, SAM is proud to reflect on its amazing first half of 2018. SAM first would like to announce our results comparing January- June in 2017 to January-June in 2018. 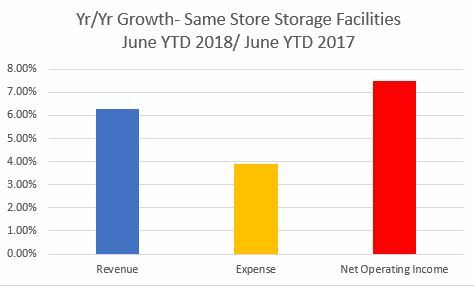 In 2018, SAM has increased same store revenue by 6.3% and net operating income by 7.5%. To add to the remarkable year, SAM has been awarded 36 management contracts through the end of August 2018, bringing the total number of stores under management to 129. SAM’s total number of employees now totals more than 270 and the company has been able to promote key staff within. SAM was also selected Inside Self Storage’s Best Operating Consulting company in the ISS Best of Business awards for the second year in a row. Melissa Stiles, Director of Marketing, has been voted onto the Self Storage Association’s Young Leaders Group’s Senate. SAM attributes the outstanding year to date, to a very strong team with the ability to focus on doing what is best for each individual facility. 2018 Annual Meeting Recap: It Starts With Us! We specialize in self storage third party management to help you add value to your business. We offer customized solutions to help grow your business within your budget and your business identity.